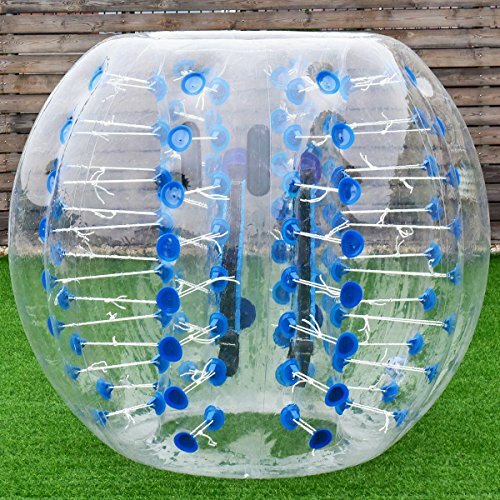 The inflatable bumper ball is your best choice to create an unforgettable memories. It will protect your body and head while giving the legs free range to maneuver when get your body moving, you will never worry about getting hurt. And it is Constructed with a thick, see-through plastic material, ensures playing outdoor for hours, at the same time ensures your safety and enjoyment. With it, you will have a happy game time. Don't hesitate to buy it. Ending hole diameter: 60cm/ 23.4"